May is Women’s Health Month and it’s never too early or late to make healthy changes so you look and feel your best. You can take control of your health and help others in your family too! In some communities, it’s hard to get healthy food. 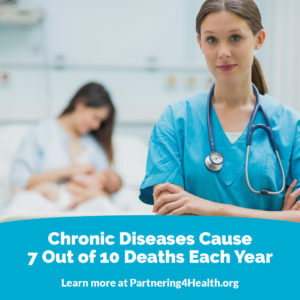 To help address disparities like this, SOPHE is a partner in Partnering4Health. 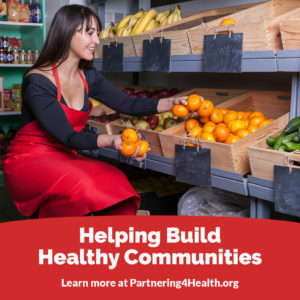 There are projects in 97 communities across the country assisting people and communities to live healthier. A third of the projects are supported through the National WIC Association. The American Heart Association, the American Planning Association and the Directors of Health Promotion & Education, are also involved. USDA provides federal grants to states for WIC. These programs provide breastfeeding support, supplemental foods, health care referrals, and nutrition education for low-income pregnant and postpartum women, and to infants and children up to age five who are at nutritional risk. Here are a few examples of WIC programs that are working to help women and families access nutritious food and breast milk. 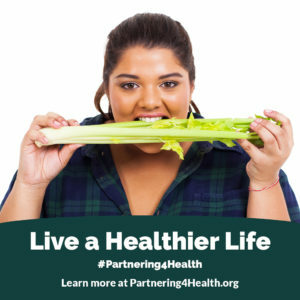 In Georgia, the Southeast Health District & Meadows Regional Medical Center Partner for Health started a “Mommy & Me, Healthy as Can Be!” program. They worked to make Tattnall County a breastfeeding friendly community. Through their efforts, over 50 business are breastfeeding friendly or have adopted policies to enable breastfeeding mothers to feed in peace. The program also improved the relationship between the area WIC program and Meadows Regional Medical Center, ensuring that more families who qualify are referred for WIC program support if needed. Improving the shopping experience for WIC participants. In Wichita County, Texas, enrollment in the WIC program began to drop. 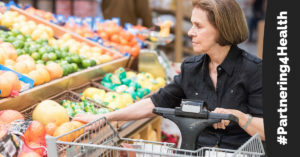 WIC staff learned that recipients were frustrated when they shopped because it was difficult to know which food they could buy with their benefits. Store staff often did not know either. The county’s public health district and local WIC office worked with community partners to develop store specific guides. They also trained store staff and WIC recipients on the products available for purchase. The training eased confusion and stress for store staff and fostered a better relationship with WIC clients and grocers. Cochiti Pueblo is located in a remote area in New Mexico and residents drive at least 45-minutes to get to a full service grocery store. The Five Sandoval Indian Pueblos WIC Program worked with Cochiti Mini Mart on the pueblo to stock healthier food options with the eventual goal of having the store become a WIC authorized vendor. 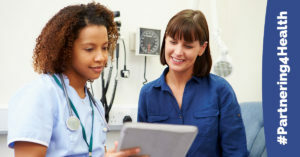 In Loudoun County, Virginia, a community coalition working with the local WIC agency developed a toolkit to encourage area employers to improve policies for lactation support programs. The toolkit was promoted at several events for area employers. The County government designated and equipped two lactation support rooms as a result of the program. The coalition offered certified lactation counselor training, so new mothers could be better educated about breastfeeding. 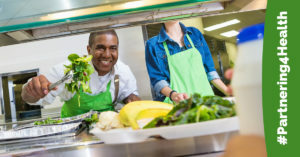 Working with community partners, Chefs Cooking Healthy Covington and Mandeville, and area mayors, St. Tammany Parish Hospital Community Wellness Center, launched Eat Fit Northshore in Louisiana. The initiative encourages restaurants to offer healthy options on their menus. Participating restaurants displayed an Eat Fit logo on their menus and list a free app for area residents. Eat Fit Northshore is modeled on Eat Fit NOLA, a program developed by Ochsner Health System dietician, Molly Kimball.